Provides M-L support for treating knee OA and degerative joint disease. 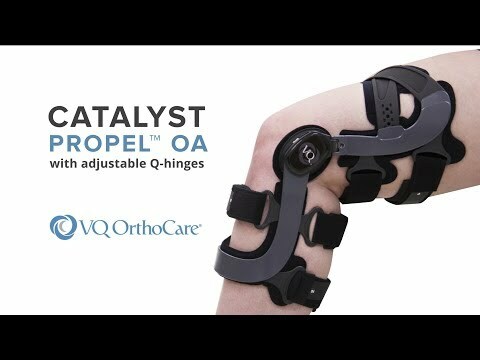 The Catalyst Propel OA brace is designed to reduce the pain of knee osteoarthritis and provide stability by reducing pressure in the affected compartment with 3 points of leverage. Featuring the unique Active Thigh Cuff™ (ATC), a patented thigh strapping mechanism that dynamically adapts to the shape and contour of the thigh throughout a full range of motion.